Hi friend welcome back to dmnarayana.com, here in this site i’m providing the information of Social media techniques. 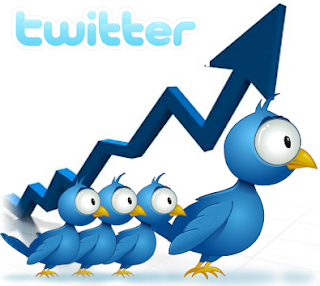 In this post i’m providing the information increasing process of twitter followers technique . Actually to get followers, first a fall we have to follow others. To get huge visitors to our website through twitter we need more twitter followers it is very tough to get followers, for that we have a technique. below i’m provided step by step process of how to increase twitter followers. 1. First we need one extension to add our browser ie. Tool kit for twitter. 5. Then those account having high followers then click their followers button. 7. After that click on Tool Kit for Twitter extension. 8. Then click on start tool kit for follower then you can see 6 different buttons. 9. in that click on “click all follow buttons” then that extension clicks the all accounts. 10. Based on that we can follow the more people based on they also re follow us. 11. This is one of the way we can get huge followers with in a short time. We never use this extension daily after success full usage of extension then we need to take gap 3-4 days gap. if you use regularly then your account will be suspended.